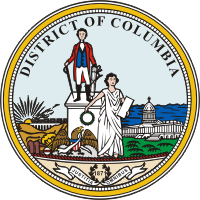 On July 13, 2009, D.C. City Council’s Committee on Government Operations and the Environment held a hearing on the Omnibus Election Reform Act of 2009 (Bill 18-345). Introduced by Councilmembers Mary Cheh, Harry Thomas and Chairman Vincent Gray, the bill includes a variety of FairVote-endorsed election reforms and has strong support from a number of pro-democracy organizations in the District. The bill would allow 16-year-olds to pre-register to vote, permit 17-year-olds to vote in primaries if they are eligible to vote in the general election and establish same-day registration. It also expands the eligibility requirements for poll workers and sets up a commission to study the feasibility of automatic voter registration. FairVote has previously argued that Washington, D.C. should be a beacon of democracy, a model for election reform and administration that can serve as a positive example to the rest of the country. FairVote’s Right to Vote Director Adam Fogel testified at the hearing. The Supreme Court on June 22 upheld a key provision of the Voting Rights Act. FairVote applauds the ruling, agreeing with the Court's 8-1 majority that a full and equal right to vote is at the core of our democracy. Although the United States has made significant progress in protecting voting rights, discrimination in voting requires vigorous attention and enforcement. Congress in 2006 overwhelmingly voted to extend voting rights protections after considering plentiful evidence. The Voting Rights Act remains vital to our democracy and to our nation, and the Court's decision preserves that law. This ruling should inspire further action to enhance protections of the right to vote, with action on proposals like universal voter registration, proportional voting systems and a constitutional right to vote. FairVote also is co-sponsoring a Washington, D.C. conference on the future of voting rights that will be streamed live.